Followed by the talks by Doshi and Pallasmaa, the conversation continued with the interpretational and methodological processes involved with the act of drawing. Continuing the themes of their talks, both Pallasmaa and Doshi reflected on their visit to Parliament House earlier that morning. Doshi spoke about Louis Kahn’s drawing techniques while preparing design for the Parliament House. He mentioned that Kahn would touch the tracing paper with his charcoal very gently and felt that he, his mind and body were all connected to the drawing. So, it was a total bodily experience for him. The conversation continued with the interpretational and methodological processes involved with drawings. The architects discussed the challenges and distinction between use of charcoal and computational methods. Juhani Pallasmaa said that drawing is the process of bringing imagination to life. 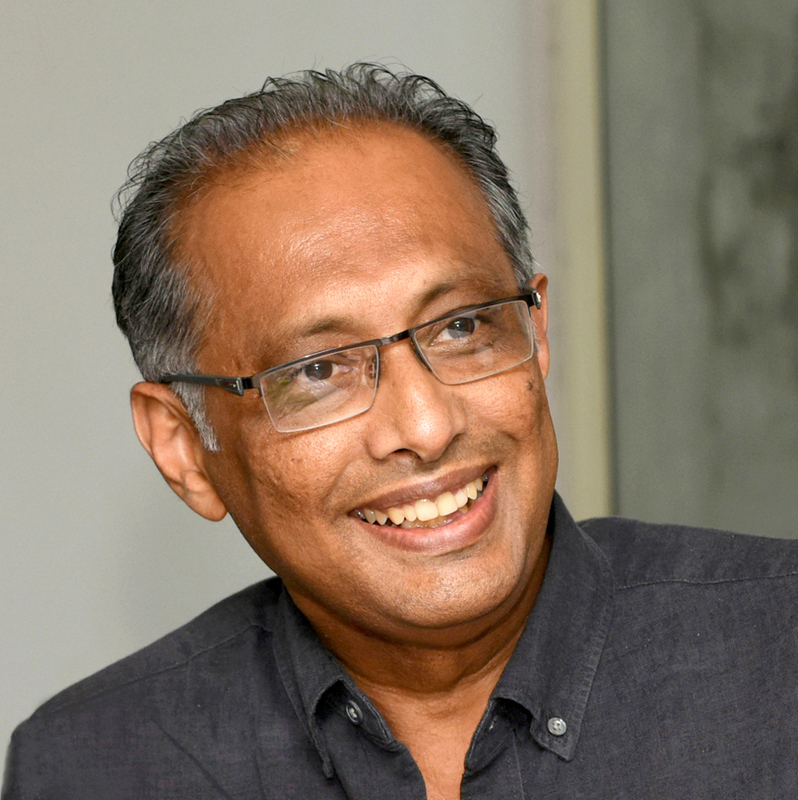 He said that today’s way of life makes use of technology in a way that leads to loss of knowledge on environment. Both Doshi and Pallasmaa talked about how should one prepare to being an architect, especially in the curricular format of today’s institutions. 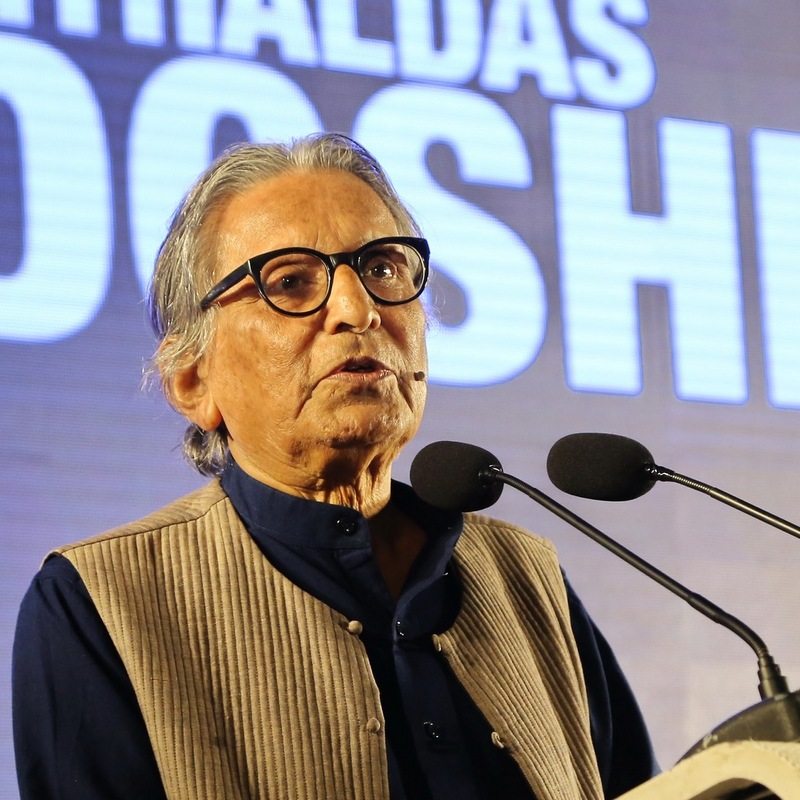 Balkrishna Doshi mentioned that the nature and imagery of Dhaka city has disappeared from our minds. He said that we do not know what to prioritise in life. Thus the city is losing its natural assets. He also reminisced about his experience of being in the Parliament House and shared his days of working in Louis Kahn’s office when the plans for the building were being developed. 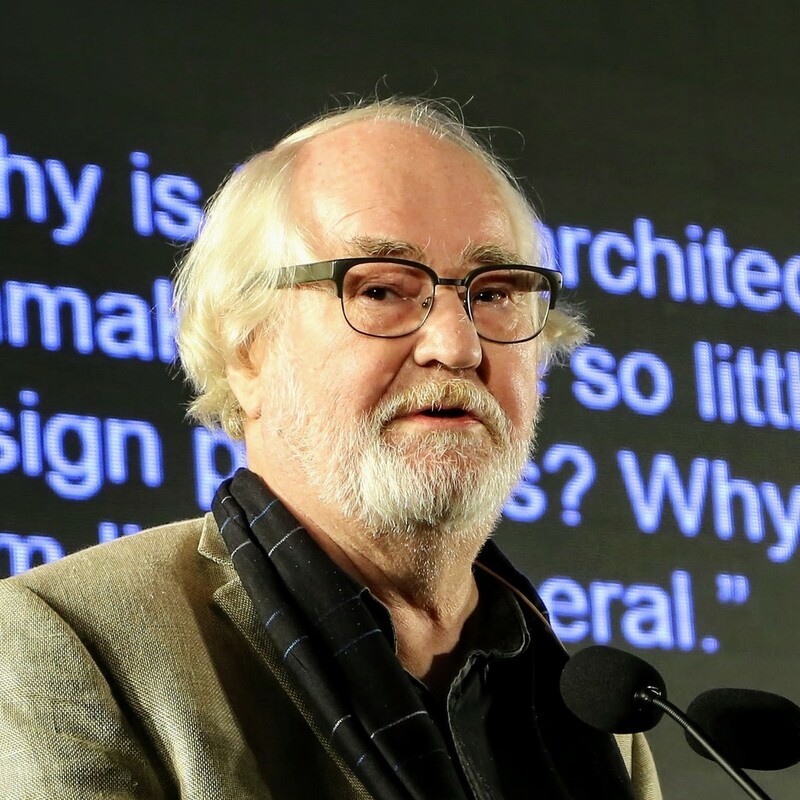 Juhani Pallasmaa is one of the most renowned architect, theoretician and writer of 21st century.